What Are The Biggest Exhibitions In June? Tabish Khan What Are The Biggest Exhibitions In June? We look ahead to London art and exhibition openings for June 2018 and select our must-see exhibitions to help you plan your cultural diary. You're welcome. 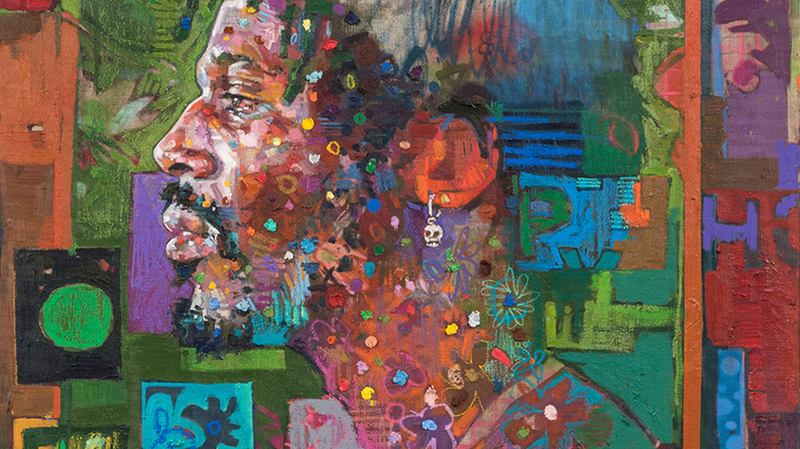 Portrait painter extraordinaire Andrew Salgado is showing his latest works and it's on for one weekend only - that's right, so you'll have to time it right to catch this one shot show. We've been massive fans of Salgado's stunning portraits for some time and loved his previous show complete with artificial grass and butterflies. He likes his shows to be an experience, so it's no surprise that he's flipping the usual exhibition model on its head and cutting this one down to a weekend. As an added bonus the exhibition is named after Nat King Cole's 'Nature Boy' so a pianist will be playing that song on repeat throughout the exhibition — he's probably grateful that it's just for the weekend. Andrew Salgado: Nature Boy at Beers London. 1-3 June, free. Westminster Abbey is high up on the list of places Londoners feel they should visit, but often haven't. Now there's an additional reason to visit with the unveiling of the new Jubilee Galleries. It's a space tucked away at the top of the Abbey and it's never been open to the public before, that's a whopping 700 years of being secreted away. 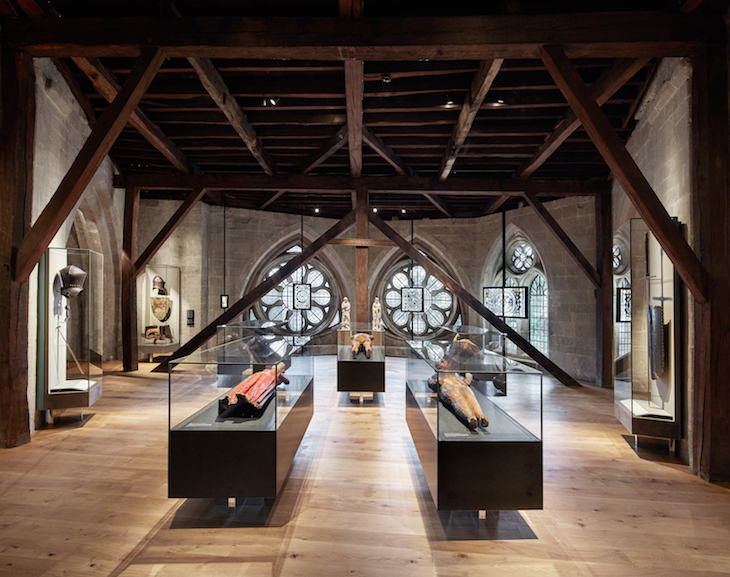 To recognise this historical first it's going to hold some of the Abbey's treasured artefacts including, England's oldest altarpieces, a coronation chair, some stunning replicas of the crown jewels and a ton of funeral effigies of former kings and queens. 'Paths of Glory' by CRW Nevinson is one of the most powerful war paintings. It's been 100 years since the end of World War One and it's time to look at how art changed after the war. Dead soldiers, battlefields ripped apart by shells and the wounded survivors who live on after the conflict is over. This harrowing exhibition will examine how British, French and German artists responded to reconstructing lives once the fighting was over but the slow recovery was still in progress. Given that IWM's fantastic exhibition looking at how artists responded post 9/11 just ended, it's time for Tate Britain to step up and see if it can match it for impact. 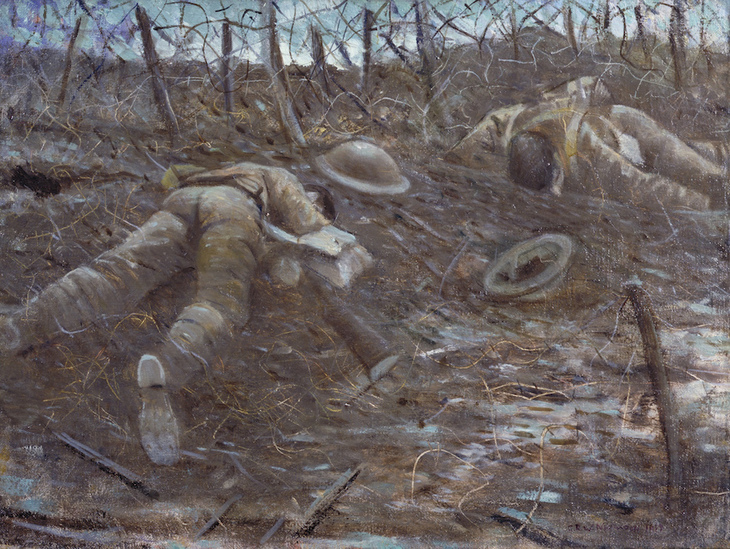 Aftermath: Art in the wake of World War One at Tate Britain. 5 June-23 September, £16. This photo is from the Summer Exhibition 2016, but gives a flavour of what to expect. Copyright Stephen White. The Royal Academy of Arts just celebrated its 250th year with the opening of a lovely new refurb. It's quite the achievement but it also means it's 250 years of the summer exhibition — a wall to wall show of over 1,000 artworks with the proceeds going to fund its schools. This year it's Grayson Perry's turn to curate the exhibition and we're looking forward to him slapping his irreverent stamp all over it. To coincide with the summer exhibitions there's another exhibition celebrating 250 years of this annual show and the schools itself will putting on an exhibition as well. We may need to have a lie down after all that. 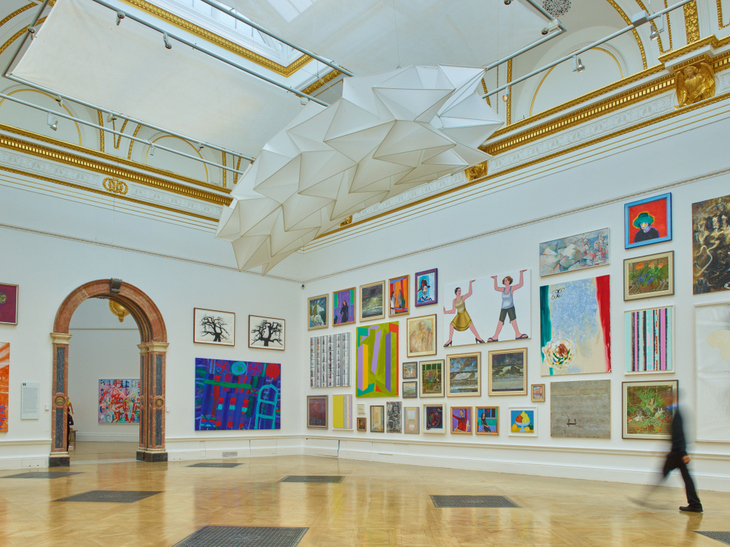 250th summer exhibition at Royal Academy of Arts. 12 June-19 August, £18. The Great Spectacle: 250 years of the summer exhibition. 12 June-19 August, £16. RA schools show 2018. 8 June-1 July, free. A simulation of what the Halo artwork may look like. 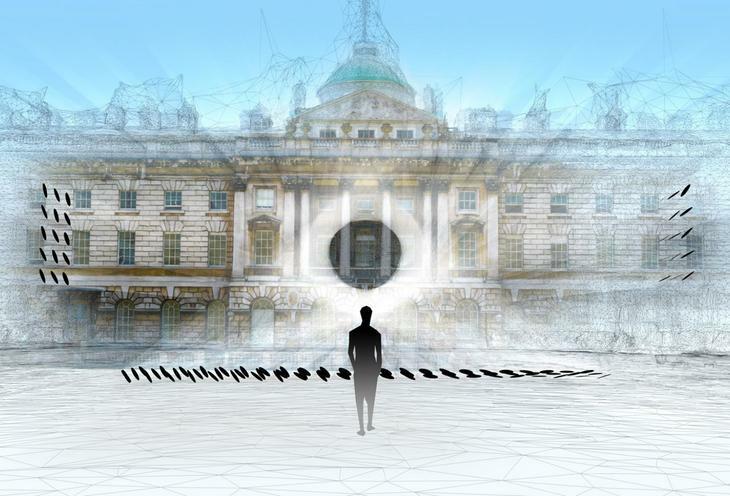 The sun is coming to the courtyard of Somerset House, not above it but in it. Well that's the plan from the delightfully name Kimchi and Chips who want to use mirrors to create a suspended ball of light in the courtyard. It sounds bonkers but that's the joy of it. Elsewhere in Somerset House it's time to celebrate independent British magazines in their diversity. It's the right time to do so as the world wonders whether print has a future in the digital age. Print! Tearing it up at Somerset House, South Wing. 8 June-22 August, free. Kimchi and Chips: Halo at Somerset House, Fountain court. 8-27 June, free. Rachel Ara's work that judges its own worth. Copyright the artist. Every three years Whitechapel Gallery hosts an exhibition all about artists living and working in London. It's a great display of how diverse and creative our capital is, with 22 artists selected from the 2,600 entries. There are performances, a flag representing the African continent and a work that calculates its own worth by displaying it in neon. The London Open 2018 at Whitechapel Gallery. 8 June-26 August, free. A static image can't really do this show justice. Copyright Dianne Harris. How do we make art more exciting? By making it move of course. 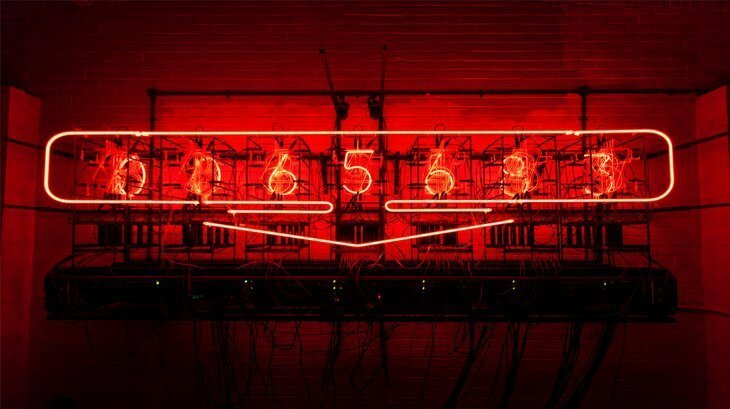 We're longtime fans of Kinetica and the art fairs and exhibitions they've held in the past. We've encountered trippy light installations and a creepy robotic emu. The clanging and movement always gives a galley a different feel from the usual hushed reverence. Bring on the chaos. 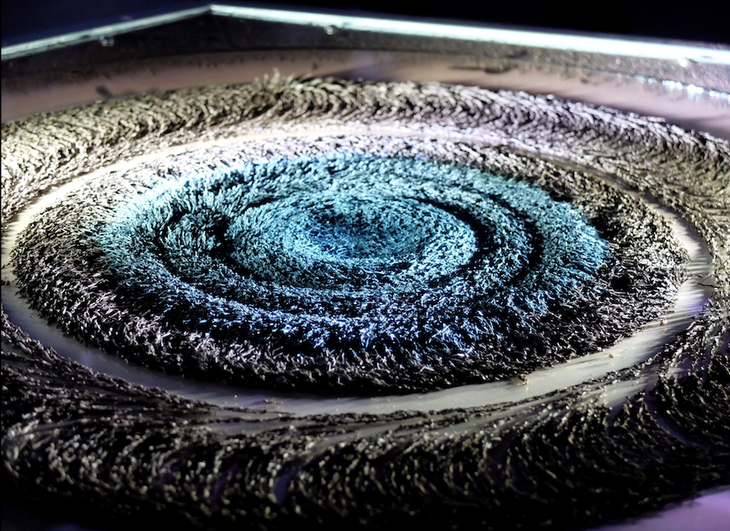 Kinetica presents Invisible Realm at Lauren Baker Contemporary, Covent Garden. 8 June-14 July, free. Image courtesy Nickolas Muray archives. Feminist icon and fantastic painter Frida Kahlo gets an exhibition at V&A. 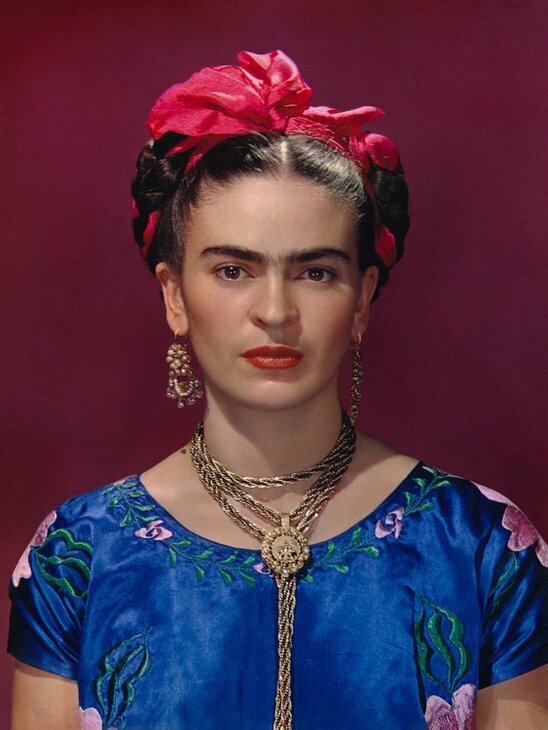 This time it's all about her unique look, including the famous monobrow, which made her one of the most recognisable painters in art history. Her clothes, jewellery, medicine and letters are leaving Mexico for the first time to come to London. Coupled with her paintings and photographs it all tells the story of her passionate and politically active life. Frida Kahlo: Making her self up at V&A. 16 June-4 November, £15. 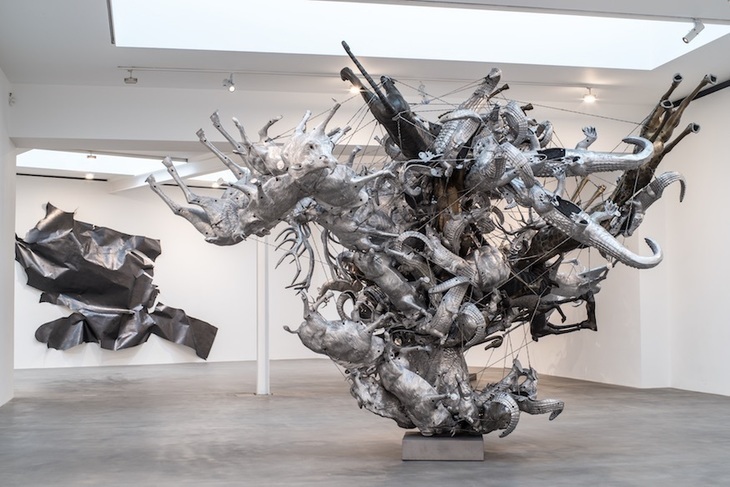 We know that one of Nancy Rubins' sculptures will be on display. Here's her work from a show earlier this year. Photo: Joel Searles. Every year we look forward to following a trail of art through the bustle of the City of London. In a part of London that's all about a fast pace of life it's great to slow down a little and stumble upon a vase emerging from a pillar or a giant abandoned child. This year marks a departure from the usually male roster with over half the works created by female artists. There's also the promise of sound works for the first time and a giant exploding web of animals. Grab a map, seek them all out and then let us know which is your favourite. Sculpture in the City, City of London. 27 June-mid 2019. That's right the King of Pop is coming to the National Portrait Gallery and it's guaranteed to be a thriller — it definitely won't be bad or dangerous. For a change he will be on the wall and now we're done with the MJ puns. 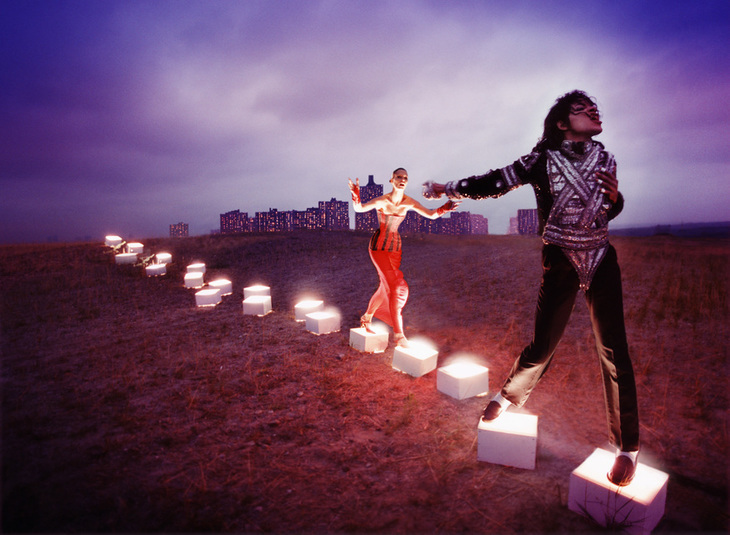 This exhibition looks at how a music superstar influenced the art world from photographers to an Andy Warhol painting of Michael Jackson. Put on your one white glove and moonwalk over to this blockbuster exhibition. Michael Jackson: On the wall at National Portrait Gallery. 28 June-21 October, £20. A mock up of what the new gallery may look like. The Horniman Museum gets a new companion for its over-stuffed walrus in an entire new gallery, a big chunk of which has been crowdfunded. 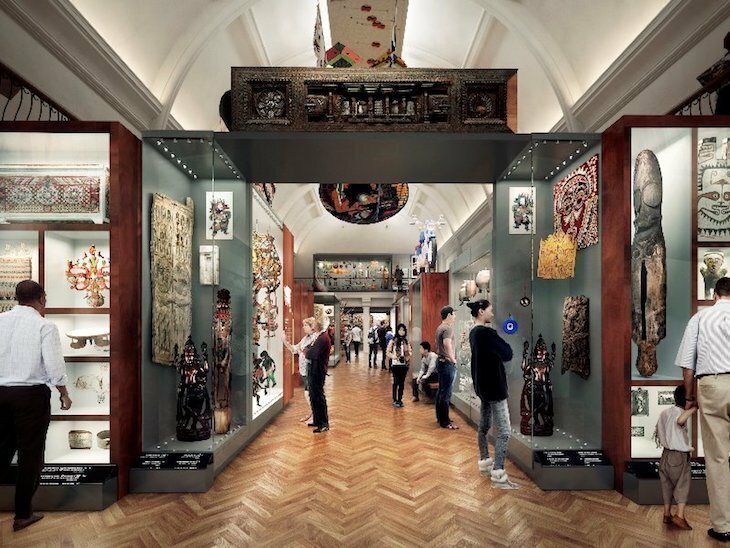 Anthropology is the theme and there are thousands of objects from across the world to bring the story of humanity to life and chart how the Horniman Museum came to be. This museum is one of south east London's best and more of it to explore can only be a good thing. World Gallery at Horniman Museum. 29 June onwards, free. The two young founders behind Unit London are moving the gallery to a major new space in Mayfair situated across two floors. We've watched the gallery grow at a phenomenal rate from a small gallery in Chiswick and been impressed by their massive Instagram following. 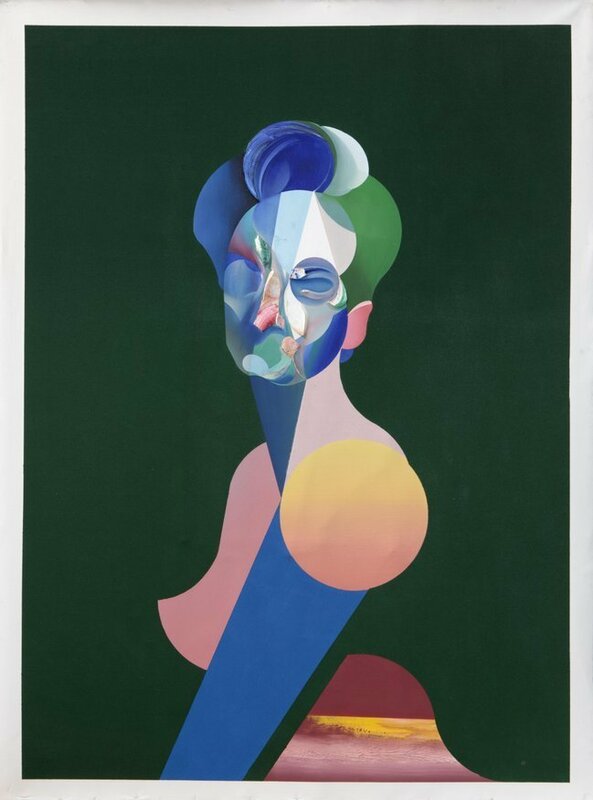 The new space will be opening with the colourful abstract portraits by Ryan Hewett and we're looking forward to seeing the next step in their climb up the art world. The Garden: Ryan Hewett at Unit London. 29 June - 22 July, free. This is the section where we round up art fairs, festivals and other short run cultural destinations over the month. This month art university graduate shows kick into high gear and start popping up around London. It's a chance to see art at it's rawest form and a view of what the future of art may behold. There are far too many for us to round up here, but the good folk at Artlyst have done the job for us and created a list of all of London's graduate shows. A BETTER BANKSIDE: Last year our highlight of Merge Festival was a chance to ride on some old dodgems through a creepy installation. 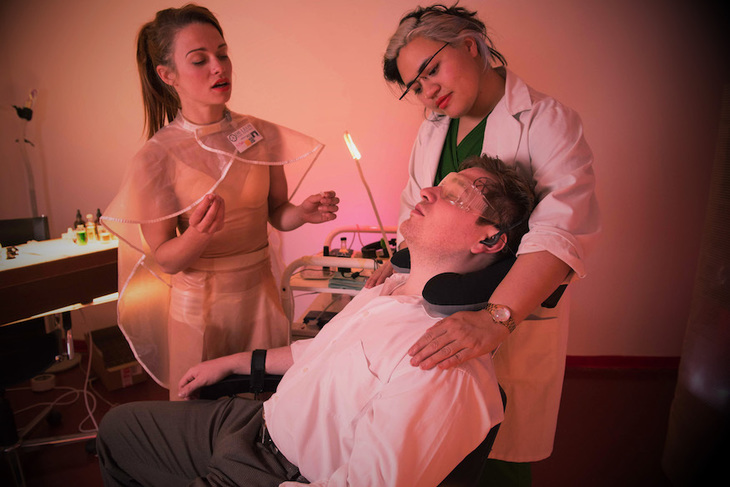 This year there's an atmospheric sound work in an unconsecrated burial ground and after that you can head to a whole bunch of art installations designed to make us feel good — including rainbows and theatrical experiences. Merge Festival at various locations. 8 June-1 July, free. ARMOUR ANYONE? : Has your home been lacking something lately. Maybe a cave bear skeleton or an antique musket will spice it up. That's just two of the items we've discovered at past versions of this fair. Plus if that's a bit too eccentric it's also jam packed with old maps, fine art and antique furniture for sale. 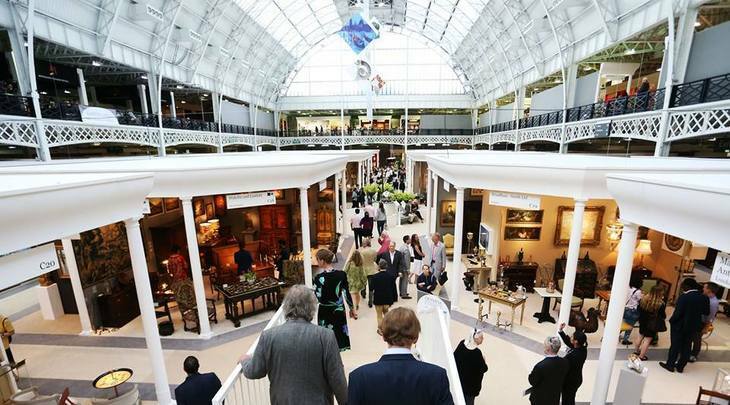 The Art & Antiques Fair, Olympia. 20-27 June, £14-21. 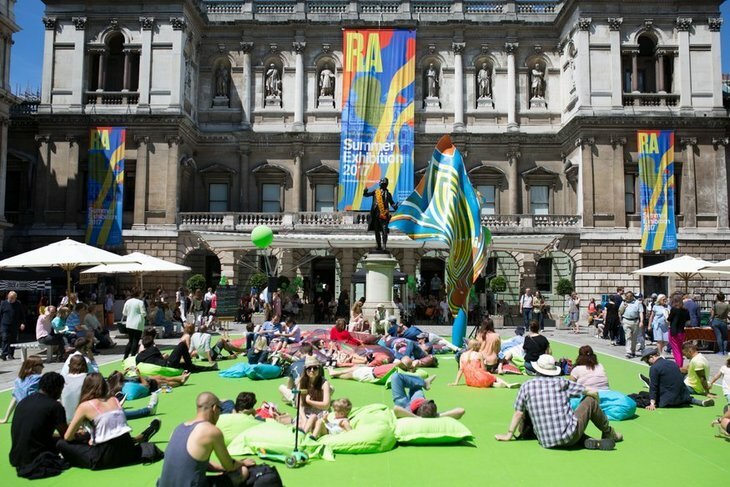 The Royal Academy courtyard from last year's weekend. Copyright David Parry. OPEN MAYFAIR: If the galleries of Mayfair always seem intimidating, then here's the weekend to shake it up. Loads of Mayfair galleries open their doors all weekend to let anyone explore thousands of artworks — there are 90 events and six guided walks around the area. The Royal Academy once again forms a hub where there's be street food on offer too. It's all a great idea to take the stuffy edge off Mayfair. Mayfair art weekend. 29 June-1 July, free.